We’d love your help. Let us know what’s wrong with this preview of The Girard Reader by René Girard. In one volume, an anthology of seminal work of one of the twentieth century's most original thinkers. To ask other readers questions about The Girard Reader, please sign up. Life changing. Girard's unified theory of human nature explains so many life experiences. Also, Girard's reinterpretation of Jesus' death is super interesting (I'm still contemplating if I agree, but I'm glad to have a new set of ideas to consider). 	It’s highly significant that Girard came to his Catholic faith through his academic work. It’s hard to find these stories, but it shouldn’t be. They’re surprisingly common. 	Williams's editorial selections answered most of my questions. I was curious about the implications for the creation of humans and also how this fits with scripture. I would have liked a little more on the former is all, but otherwise this Reader is remarkably balanced. The sections on literature and Freud/Nietzsche were less relevant but the inclusion of the interview at the end is perfect – in fact, I read it first and recommend you do the same. I’m still digesting Girard but I only get rocked by a new (to me) thinker about once per year, and this is Girard’s year. You’ll hear more about Girard in my future scribblings, of that I’m sure. Fascinating study of scapegoating and of sacrifice in ancient religious history, in the Hebrew Scriptures, and in Christian theology. As a literary critic, Girard's familiarity with literary masterpieces and the functioning of language in society enables him to give specific illustrations of his theory being played out. I was especially struck by the analogy of the Hebrew story of Joseph and his brothers to the story of Jesus in the New Testament as regards the idea of substitution for offenses. Fascinating study of scapegoating and of sacrifice in ancient religious history, in the Hebrew Scriptures, and in Christian theology. As a literary critic, Girard's familiarity with literary masterpieces and the functioning of language in society enables him to give specific illustrations of his theory being played out. I was especially struck by the analogy of the Hebrew story of Joseph and his brothers to the story of Jesus in the New Testament as regards the idea of substitution for offenses. Girard's work has created a breakthrough in many disciplines, and is affirmed in neuroscience and various social sciences. In terms of theology, it certainly throws a spotlight on the human phenom of scapegoating that repeats in societies through the ages, but which was corrected in the crucifixion of Jesus and recorded in the Gospels. History changing--- then, and now. I gave up. Kind of heavy going for me. Girard was a brilliant anthropologist but a terrible theologian. I enjoyed the sections on mimetic theory, myth, and Freud but the chapters on Christ and the gospels are cringeworthy. Interesting. I'll have to stick this in the hopper and let it rattle around for a while before I know what I think of it. A great general over view of Girard's theories. Well worth reading, especially if you only have time for one of his books. René Girard is a French-born American historian, literary critic, and philosopher of social science whose work belongs to the tradition of anthropological philosophy. He was born in the southern French city of Avignon on Christmas day in 1923. Between 1943 and 1947, he studied in Paris at the École des Chartres, an institution for the training of archivists and historians, where he specialized in m René Girard is a French-born American historian, literary critic, and philosopher of social science whose work belongs to the tradition of anthropological philosophy. He was born in the southern French city of Avignon on Christmas day in 1923. Between 1943 and 1947, he studied in Paris at the École des Chartres, an institution for the training of archivists and historians, where he specialized in medieval history. In 1947 he went to Indiana University on a year’s fellowship and eventually made almost his entire career in the United States. He completed a PhD in history at Indiana University in 1950 but also began to teach literature, the field in which he would first make his reputation. He taught at Duke University and at Bryn Mawr before becoming a professor at Johns Hopkins in Baltimore. In 1971 he went to the State University of New York at Buffalo for five years, returned to Johns Hopkins, and then finished his academic career at Stanford University where he taught between 1981 and his retirement in 1995. Girard is the author of nearly thirty books, with his writings spanning many academic domains. 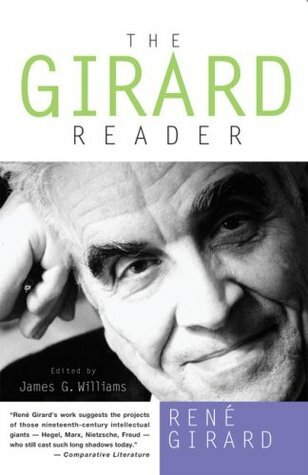 Although the reception of his work is different in each of these areas, there is a growing body of secondary literature on his work and his influence on disciplines such as literary criticism, critical theory, anthropology, theology, psychology, mythology, sociology, economics, cultural studies, and philosophy.Girard’s fundamental ideas, which he has developed throughout his career and provide the foundation for his thinking, are that desire is mimetic (all of our desires are borrowed from other people), that all conflict originates in mimetic desire (mimetic rivalry), that the scapegoat mechanism is the origin of sacrifice and the foundation of human culture, and religion was necessary in human evolution to control the violence that can come from mimetic rivalry, and that the Bible reveals these ideas and denounces the scapegoat mechanism. In 1990, friends and colleagues of Girard’s established the Colloquium on Violence and Religion to further research and discussion about the themes of Girard’s work. The Colloquium meets annually either in Europe or the United States.